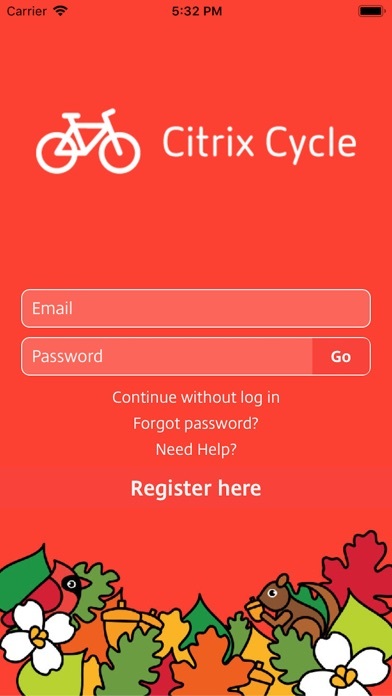 Citrix Cycle - App - App Rediscovered! 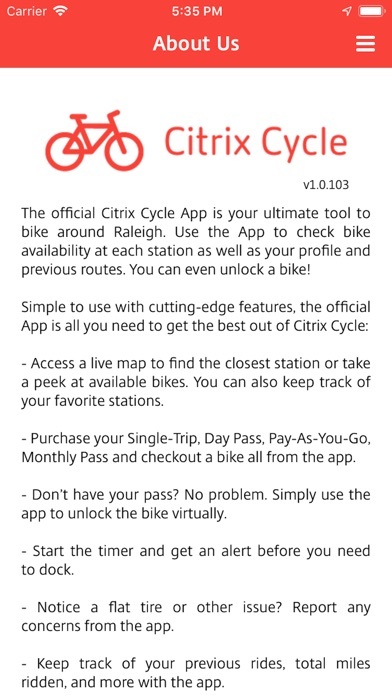 The official Citrix Cycle App is your ultimate tool to bike around Raleigh. Use the App to check bike availability at each station as well as your profile and previous routes. You can even unlock a bike! 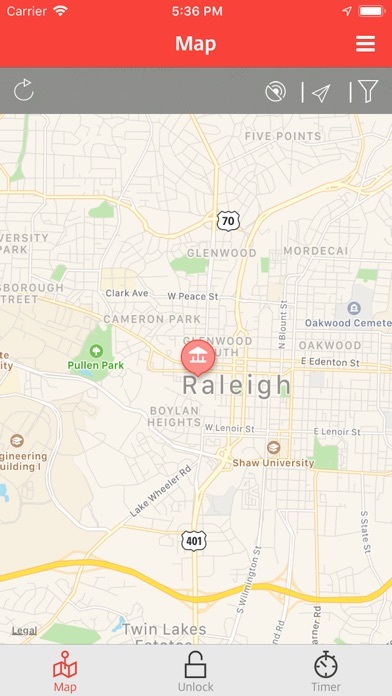 Simple to use with cutting-edge features, the official App is all you need to get the best out of Citrix Cycle: - Access a live map to find the closest station or take a peek at available bikes. You can also keep track of your favorite stations. - Purchase your Single-Trip, Day Pass, Pay-As-You-Go, Monthly Pass and checkout a bike all from the app. - Don’t have your pass? No problem. 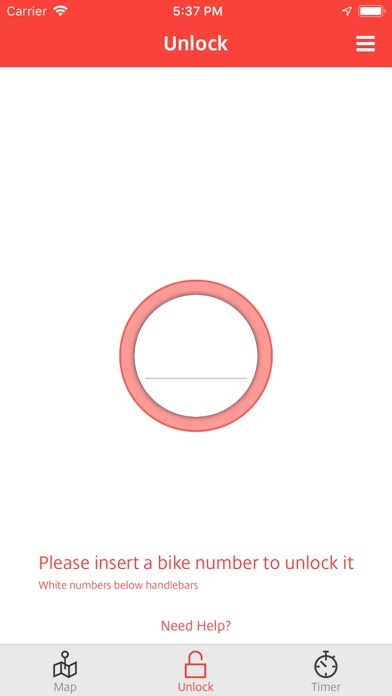 Simply use the app to unlock the bike virtually. 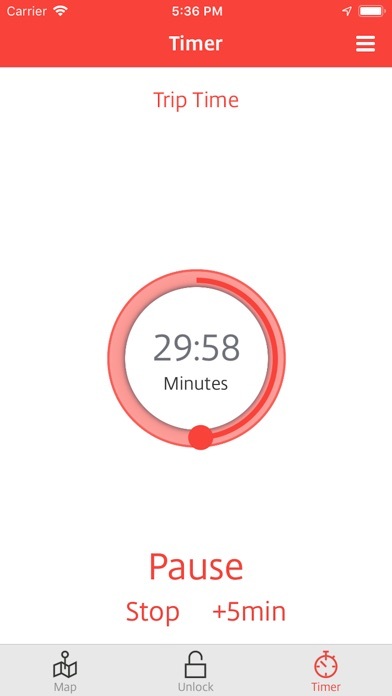 - Start the timer and get an alert before you need to dock. - Notice a flat tire or other issue? Report any concerns from the app. - Keep track of your previous rides, total miles ridden, and more with the app. Enjoy the ride!